Attention to All Business Owners! Position Your Business for a whole New Level of Success by Dominating the Greatest “Social Layer” Platform in the Shortest Possible Time! 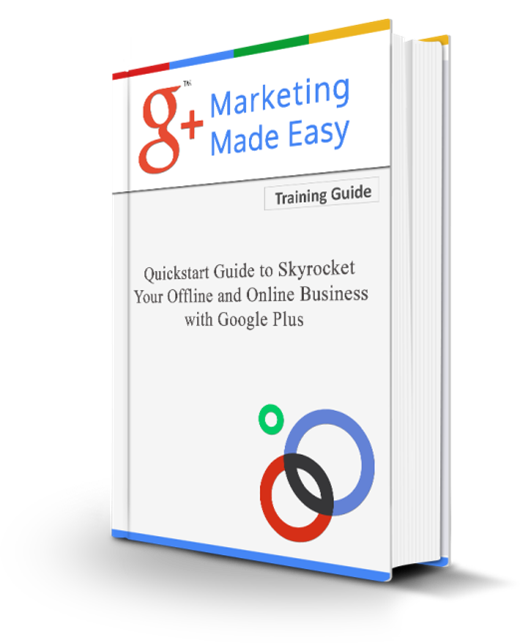 This Step by Step Google+ Training System will take you by the hand and show you how to safely skyrocket your business presence in the shortest time possible. Read on as I reveal how you can become a Google Plus expert and tap into the huge potential offered by this massive platform. 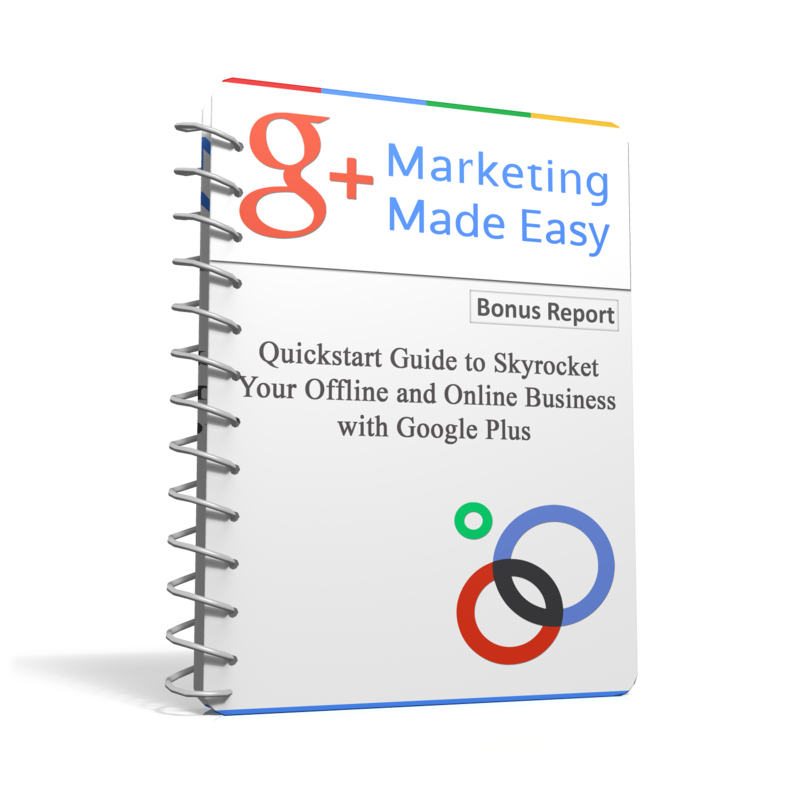 This extraordinary training system will reveal the exact 7 steps that you really need to care about the most in order to strongly and safely position your business on Google Plus in the shortest time possible. 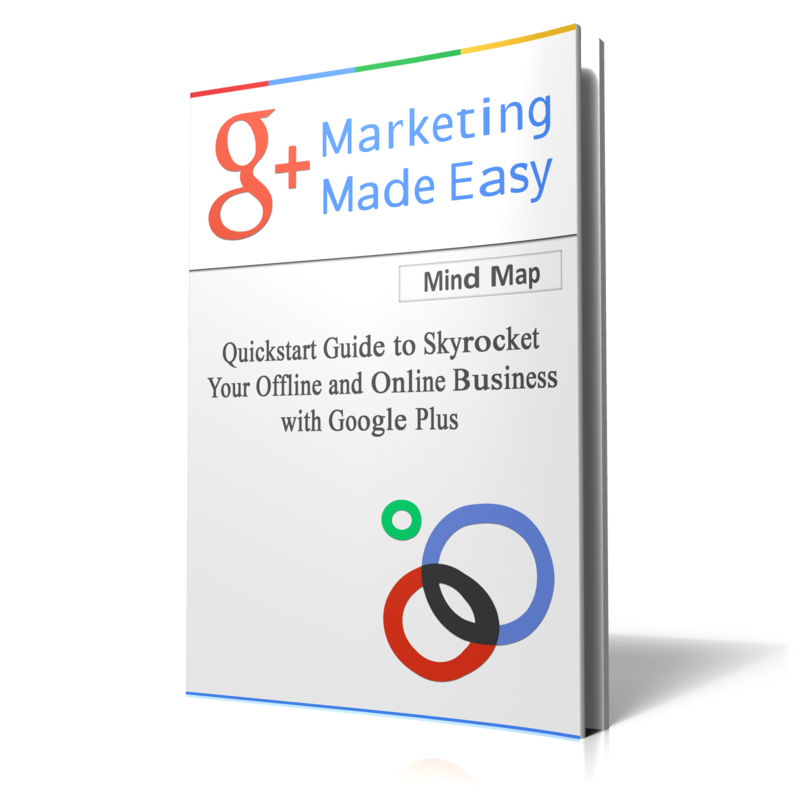 What is Google Plus and why you urgently need it for your business. 15+ facts that can make Google+ a crazy money making machine for your online or offline business. The most important step to take before you start to build a Google+ page for your business. The exact questions you should be able to answer in order to choose the right approach for your business. How to avoid getting lost during the creation process. Tips on Cover and Profile Images. 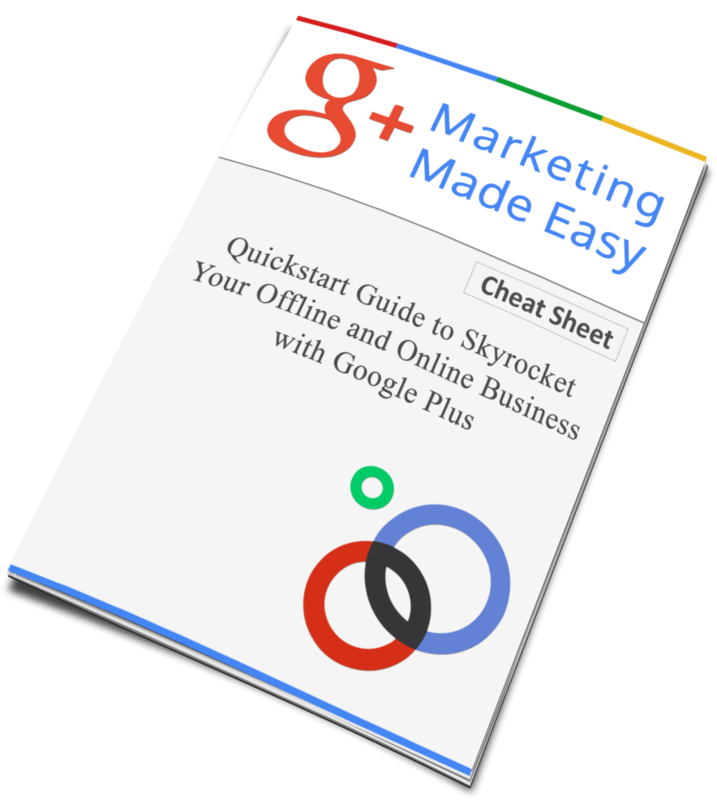 The greatest weapons Google + has prepared for your business. Posting techniques that will make your activities more productive. The quickest and safest way to get more followers. "Your Success is Our Business"
The full package, available to Inner Circle members includes a Checklist Cheat Sheet, an Element Process Mind Map, a Bonus Report and the Online Seminar Video. Interactive support and guidance via video conferencing is also included for Platinum members. Available for purchase as a package on request.